Kenilworth’s Abbey Museum and Heritage Centre, at The Barn, Abbey Fields, will re-open for the 2017 season on Easter Sunday 16th and Easter Monday 17th April from 2.30 to 4.30 pm and will remain open every Sunday and Bank Holiday Monday afternoon thereafter until the 17th September. Admission is free – any donations are very welcome. Come along and learn about Kenilworth’s past from the Bronze Age right up to the 20th century. There is also a detailed interpretation of Kenilworth Priory (later Abbey) with some beautifully carved and decorated stones and tiles on display which have been found during excavations of the site. Members of KHAS will be hosting a free guided walk of the Kenilworth Abbey ruins in support of the CBA’s Festival of Archaeology 2017 and talking about archaeological excavations which have taken place there. 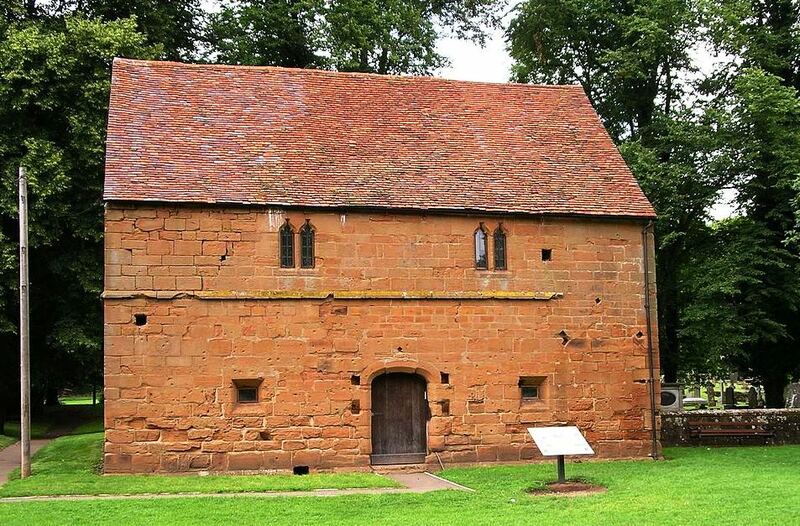 Take a walk back in time to when Kenilworth’s St. Mary’s Priory (later Abbey) was one of the wealthiest and most prestigious Augustinian houses in the Midlands. Hear about the men who lived here, what their lives were like and what happened to them and their once beautiful buildings. Learn about the archaeological excavations which have taken place at the Abbey and see some of the items discovered now on display in the Abbey Museum & Heritage Centre. The walk will commence at 3 pm and lasts approximately one hour. We will meet outside the Abbey Museum & Heritage Centre at The Barn, Abbey Fields, Kenilworth (just beyond the children’s play area). Kenilworth Abbey Museum & Heritage Centre at The Barn, Abbey Fields, will be open both Saturday 9th and Sunday 10th September between 2.30 and 4.30pm and on Saturday 9th there will also be a free guided walk of the Abbey ruins at 3pm in support of Heritage Open Days. 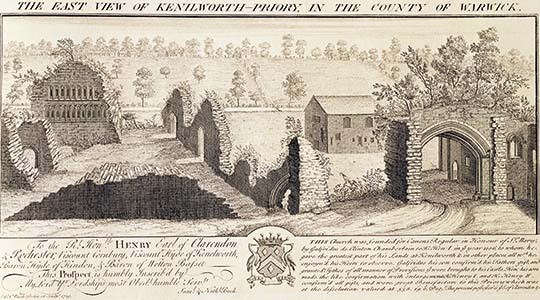 If you have ever wondered who built Kenilworth Abbey, why it is sometimes called a Priory, what it looked like, who lived there and why it is now a ruin then do come along and join your KHAS guides on 9th September. We will meet outside the Museum & Heritage Centre (just beyond the children’s play area) at 3 pm. Private Group visits to the Museum & Heritage Centre and Guided Walks of Kenilworth Abbey Ruins and ‘old’ Kenilworth (High Street, Castle Hill, Castle Green) are available by prior arrangement between Easter and mid-September. Please contact ku.oc1555602052.sahk1555602052@nimd1555602052a1555602052 for further information.